Jason is one of the most accomplished DIY hunters in Western North America. He has hunted nearly every western state for multiple species, harvesting 19 Mule deer bucks over 200”, including 4 between 237 and 271. Jason has worked as a professional hunting consultant for over 20 years. He spends nearly every waking moment researching, scouting, or hunting. There is no other hunting service that offers more knowledge, passion, or success. In addition to being an accomplished hunter, ADAM BRONSON has worked as a wildlife biologist, professional hunting consultant, and is a licensed big game outfitter. Year after year Adam guides hunters to some of the biggest animals in the Western U.S. Adam’s passion and knowledge are a big factor in why our Application Service is hands down the best in the industry. JEFF JOHN is the Epic Outdoors, Outfitted Hunt Specialist and hunt consultant. 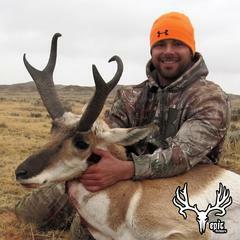 Jeff manages the Epic Approved Outfitter network and manages hunt openings and opportunities. Jeff also manages our HUNT HOT FILE, finding perfect hunts for our members. If you’re looking for a specific hunt, with specific dates, and a specific budget—Jeff will notify you when the perfect hunt is located. Jeff has hunted all over the West and is a valuable resource for Epic Outdoors members searching for the perfect opportunities to meet their hunting goals. JOHN PETERSEN has worked in the hunting industry since 2004. As creative director of he oversees all visual and creative aspects of Epic Outdoors. John loves hunting and fishing and hunts multiple states each year. John has many years experience in graphic design for many years ran his own design agency. His clients included many fortune 500 companies. 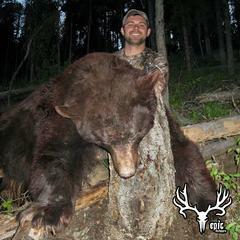 In additon, he has published some of the top hunting magazines and websites in the industry. CHRIS PETERSEN is an avid hunter and one of the premier outdoor photographers and videographers in the hunting industry. Chris worked as a principle videographer for the television show Ridge Reaper on the Outdoor Channel for 3 years. Chris is the digital media director for Epic Outdoors and also the producer of the Epic Outdoors Podcast. Chris is also part of the design team and a key player in the development of each Epic Outdoors Magazine. The Epic Outdoors Crew gives you Value, Experience, and Reliability! The Crew and a few of their trophies. You WANT guys who are obsessed with hunting the West doing your research or taking care of you with your applications!